Purse Size! This 2 ounce size is perfect for gifts! Recommended use with Decca Plus Scalp Therapy! Leave-in conditioner that instantly penetrates! An EXCELLENT Moisturizer for all hair types! Also Great for Braids! Use our Deep Conditioner to repair damaged, dry or brittle hair! Our 32oz Size is convenient for the whole family! 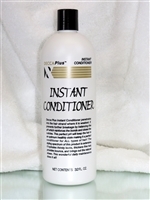 Leave-in conditioner that instantly penetrates!